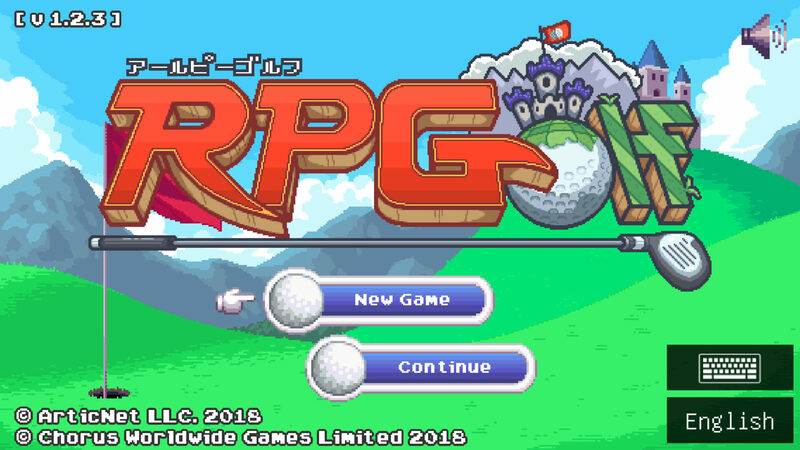 RPGolf is a sub-par experience that is too simplistic to be a convincing RPG and too inept to be a passable golf game. RPGolf seemed like the perfect melding of a dungeon crawler and the Gentleman’s Game, a mix that I hoped would scratch an odd itch to play golf and roll stats at the same time. However, after breezing through multiple rounds on the main course, completing the main quest and most of the side quests, it’s clear that RPGolf does not deliver on it’s namesake, as the RPG elements are very simplistic and repetitive, while the golf mechanics are genuinely disappointing. A rare site in RPGolf: a putting green. You play as Leiah, who is ostensibly the bravest golfer in the world and is tasked by her sensei to clear the monsters plaguing the local golf course; and the only way to do that is to battle foes while you battle the greens…or something like that. There is some silly narrative that is briefly touched on in a few lines of poorly translated dialogue, but it doesn’t really matter, we all know why we’re here. The setting, characters, style, and overall concepts are borrowed from standard gaming conventions, so there’s really no new ground to tread, there’s nothing clever or particularly golf-themed about the RPG elements. One of the elemental monsters: fire, ice, stone and boredom. You have stats like strength, which determines your attacks in combat and your distance when golfing; and perception, which allows you to dodge attacks and to ignore wind penalties when playing the fairway. Your main weapon is a golf club, and other clubs can be picked up or purchased from various merchants throughout the land. Magic comes in the form of special golf gloves you don, which grant things like fire balls, ice balls, wind balls, or thunder balls… very ball themed gloves, in fact. There are also potions for health, and elixirs for magic, as well as a few other odds and ends, but your general inventory will never exceed more than a screen’s worth of items, as there just isn’t much in the way of items or equipment to be found. Some of the many…er, few…things you can buy. Once you’ve rolled your stats and equipped your character, it’s time to start golfing. The overall gameplay consists of wandering through screen after screen of baddies until you find the tee, hit the ball, clear the fairway of baddies, then clear the green of baddies, and finally putt your way to victory. Then it’s off into the wilderness for screen after screen until you find the next tee, with nothing but a very vague and rather unhelpful map to guide you. Along the way there are bosses to fights, treasure chests to find, secret caves to explore, and villages to stumble upon. Does a bear tee in the woods? If all of this sounds like fun, it’s unfortunately quite misleading, because there’s just so little content, and what is there feels awkwardly balanced, like it’s 90% hack’n’slash and 10% golf. 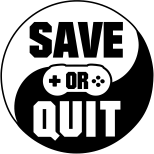 You spend most of your time fighting through screens of repetitive enemies, either to clear the course so you can play, or just to grind because you need to level up. And when you are golfing, the mechanics and physics are bad, very bad… pinball machines do a better job of simulating golfing than this game does. There is a full set of clubs at your disposal, but aside from distance, there are no benefits to switching; they don’t handle differently nor do they offer any advantages based on terrain. Although you can’t adjust your stance, you can add some backspin to the ball, but this element doesn’t really seem to make that big of an impact, nor is it even necessary. Likewise, terrain type doesn’t seem to make a difference in your play, as hitting from the rough feels identical to hitting from the fairway. The actual ball dynamics, however, are atrocious, as collisions, physics, and accuracy are dumbed down to the most basic level. The holes are poorly designed as well, and look more like Zelda map rejects. The game’s tiny map and/or a napkin with a coffee stain. So, the golfing aspects of this game, I’ve concluded, were meant solely as a way to tack-on a novelty theme to an otherwise standard RPG ripoff. This assumption would make sense, except that the RPG elements are equally lacking. Combat is repetitive and limited. Even though there are several types of enemies (skeleton things, demon things, things with masks, etc), the attack pattern is identical among them all; they all move, attack and react the exact same way, the only thing that differs is how much damage they do, and whether or not they’ll poison you. Oh, there is quite a lot of poisoning in this game. Whilst at a merchant, stock up on as many antidotes as you can, you will need them. In later levels, it’s not uncommon to get poisoned almost every single encounter. Vending machines restore health and magic… but they can’t cure poisons. If you don’t have antidotes, you’re essentially going to be a walking epidemic. Seriously, I’ve never seen a country club this plague infested before. The boss fights offer the only variety, and even then it’s limited to: run away, run away, run away, strike a few blows, repeat. You gain experience and goodies for this, which is fine, but after a while, riches don’t mean anything as there’s not much to spend it on (aside from antidotes). Depending on how you want to level up, it’s entirely possible to reach a point where you’re almost too powerful. I focused exclusively on strength, figuring I could rely on potions and equipment to compensate for the other stats. This strategy worked, and soon I was able to plow through most enemies with little effort, as well as hit the ball much farther than before. But with great power comes great boredom, and soon there was really nothing left to do. The game itself is quite short. It’s only the front nine, and if you follow the quest you will be done with the game after the ninth hole. The idea, though, is that there are other bosses to find across the poorly designed landscape, and if you play the same course again and again and manage to do better by lowering your handicap, you’ll unlock more goodies. And after you’ve done that, you can play through it again and lower your handicap further still and unlock things like access to the second floor of the clubhouse. How tantalizingly exotic! The thing is, though, it won’t take very long to do all of this and reach a point where there’s nothing left to keep you playing. More hedge mazes than the Overlook Hotel. Since you’re staring at the same graphics over and over, you’d think they would offer some form of comfort at least. And although they’re not expressly incompetent, there’s nothing unique or special about the sprites and backgrounds that make-up the graphics of this world. Visually the game is a poorly done clone of every 8-bit RPG you’ve ever seen. There’s no particular style that sets it apart, and it offers no charm that you can connect with. The creative palette is just too small to showcase anything other than what’s absolutely required. There are just enough pixels to make a tree look like a tree, a clump of grass looks like a clump of grass, and a frog riding a bicycle looks like a frog riding a bicycle; nothing more, nothing less. This style wouldn’t necessarily be so bad, except for the full-screen limitation. For whatever odd reason the game is locked to fullscreen, and if you happen to have a large monitor, suddenly those 8-bit pixels become living-room-sized. If ever there was a game that demanded a windowed mode, this is it. The music, on the other hand, is a different story. There is, for the most part, only one song; repeated; endlessly. Oh sure, when you enter a cave you briefly get a different tune, or when you’re driving the golf cart the soundtrack changes (maybe it has a built in 8-track player? ), but during the rest of the time, whether you’re fighting enemies, on the fairway, or putting around the green, the same cursed song is playing. I’ve come to believe that this song is cursed, for it’s so very catchy, and so very cute. Long after you’ve turned off the game, that one cyclical song will be embedded in your mind like a sand-wedge to the skull. However, of the few brief respites from the main tune, one of my favorites is probably the one from the bar, and this isn’t the first game I’ve noticed this in. Why is it that bars, taverns, and pubs always have the best in-game music? Even the monsters in this game turn to drink. As for the controls, if you’re a keyboard player, you’re stuck with the arrow keys to navigate and ZXCD to fight and golf. That keyboard combination, which cannot be reconfigured, is about as comfortable to play as it sounds. Connecting a controller does help, and makes the game more bearable, but navigating the menus and inventory is clumsy, and is frustrating to do during combat. As an added irritation, there is no pause in the game. Even though the save, stat, and inventory menus will come up and completely cover your screen, you can, and will, get attacked behind them, which can lead to some great, if unintentional, comic relief. Running around the poorly designed game map is tedious and forces you to stop every few paces for an encounter. Thankfully, there is a golf cart you can drive which does take the monotony out of travel. It’s sort of a mini-quest to acquire, and by the time you get the item needed to unlock it, it’s too late for it to be useful, which is fine, as it’s meant to speed up additional playthroughs. The cart handles with all the grace of a Zamboni, but it is the fastest way to travel. Also, enemies won’t attack you while you’re in it, so you can have a virtually combat free experience if you so desire. It’s almost worth it for this one alone. As my list of complaints for this game grew, I discovered something which I hadn’t realized at the time: this game is actually a port of a mobile game, which apparently came out a while ago. Many of the game’s flaws are design related though, so as much as I’d like to blame my negative experience on a bad port, the reality is that the fundamental gameplay is lousy to begin with. In hindsight, the over-scaled graphics, terrible controls, limited content, and repetitive music are nothing more than a mobile app showing its roots. It was clearly never meant to be a big screen game, let alone a PC one. And yet, despite all my grumblings, I have to admit, it wasn’t un-fun; I didn’t not enjoy my experience. It’s easy to play, gentle and mild-mannered, and somehow not frustrating at all; it’s light and fluffy enough that even when you get killed by a boss, or succumb to another bout of disease, it never feels irritating, or unfair, or angering. It’s almost impossible to be mad at RPGolf. It gets boring very quickly, true, but there’s something comforting about the repetitiveness of it all that it’s easy to zone out and play for a lot longer than you realized. So, although I have a hard time recommending this game to a broad audience (or even to a narrow one), it might still be a pleasant and undemanding way to pass the time, as long as you’re fully aware of the limitations of the game: it has a narrow scope, limited content, terrible golfing, and awkward controls. But if those things don’t deter you, then it might make for a nice casual game if you’ve exhausted all other options; it also helps to have a burning passion to beat demonic cherubs with a nine-iron. For everyone else, RPGolf is a whiff.